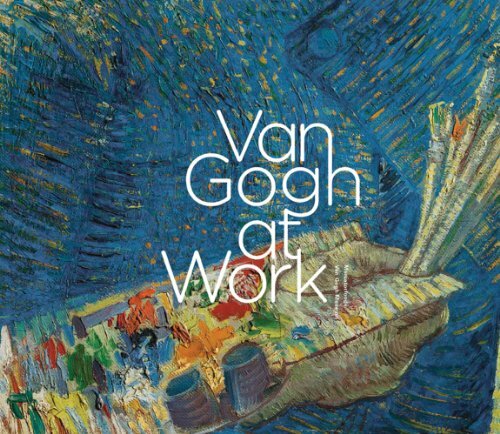 This is the companion artbook to the exhibition Van Gogh at Work at the Van Gogh Museum, Amsterdam, that was held on 1 May 2013 to 12 January 2014. The publisher Mercatorfonds and author/curator Marije Vellekoop have spared no effort at making this an excellent artbook on Van Gogh. It's a huge hardcover book with 304 pages. Paper and reproduction are fantastic. It's satisfying to look at all the paintings huge and marvel at the texture, colours and details. The writeup is authoritative, covers the history of Van Gogh's learning and painting process, the tools he use, mentality, his letters, and basically anything that's related to him. All that are mentioned are accompanied by his paintings, and some photographs. The text even covers how conservators analyse his paintings with high tech tools. This is an elaborate and insightful book. Highly recommended to all who like Van Gogh paintings.